The Boston Red Sox had originally agreed to visit the White House after winning the World Series in 2018, but recently postponed the meeting to a later date because of the Government shutdown that just ended after 35 days on Friday. When the team does set a date for the meeting, Mookie Betts will not be attendance. 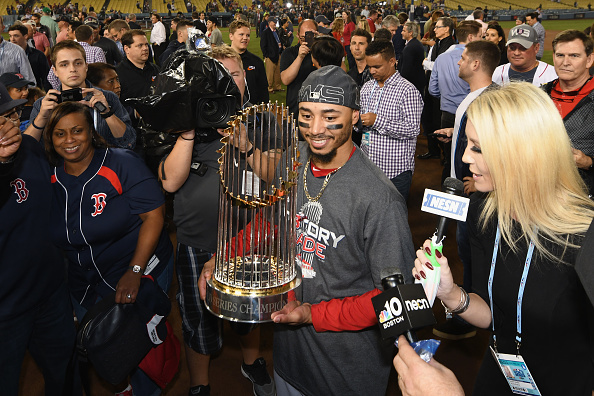 The AL MVP and Red Sox star outfielder reportedly said Saturday in New York at the awards dinner of the Baseball Writers’ Association of America, “I won’t be going there. I decided not to,” according to the Boston Globe. He would not elaborate as to why he chose to take this stance, but he won’t be the only one as Third baseman Rafael Devers has already said he’s not attending simply because he “wasn’t compelled to go,” and that his decision is not related to politics. Red Sox manager Alex Cora, a Puerto Rican native, is “unlikely” to attend the White House meeting, The Washington Post reported. Bett’s Snub of the White House came just days after the Golden State Warriors decided to visit former President Barack Obama to celebrate their Championship feat in 2018.